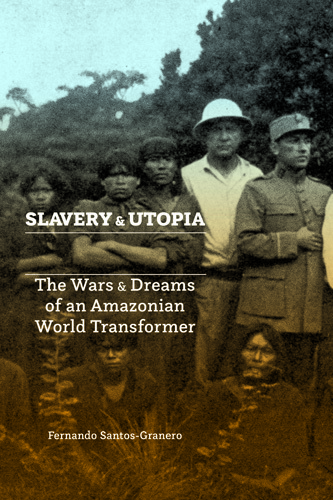 Featured at My Book, The Movie: Slavery and Utopia: The Wars and Dreams of an Amazonian World Transformer by Fernando Santos-Granero. While writing this book, it never occurred to me that it could be turned into a movie. Coming to think about it, I now believe that the story of the charismatic Amazonian shaman-chief Tasorentsi would make a captivating film, full of action, magic and drama. Since the life of its protagonist extended from 1875 to 1958, at least three actors would have to play his character. In the absence of professional Ashaninka actors, I would choose Native American actors Martin Sensmeier (acted in The Magnificent Seven, 2016), Adam Beach (acted in Suicide Squad, 2016), and the extraordinary Wes Studi (acted in Hostiles, 2017) to play the young, middle age, and mature Tasorentsi. 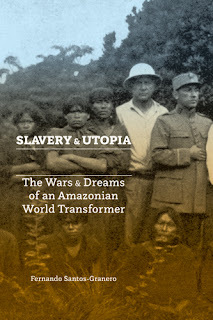 Learn more about Slavery and Utopia at the University of Texas Press website. My Book, The Movie: Slavery and Utopia. Pg. 69: Bryan Gruley's "Bleak Harbor"
What is Rosemary Simpson reading? What is Kate Heartfield reading? Pg. 69: Amanda Bridgeman's "The Subjugate"
What is James Alan Gardner reading? Pg. 99: Gary R. Bunt's "Hashtag Islam"
Pg. 69: Kate Heartfield's "Alice Payne Arrives"
What is Erica Wright reading? Pg. 99: Anne Parsons's "From Asylum to Prison"
What is S. L. Huang reading? What is Abbi Waxman reading? What is Rysa Walker reading? What is Vicki Delany reading? Pg. 69: Thelma Adams's "Bittersweet Brooklyn"
What is Scott J. Holliday reading? Pg. 69: Rysa Walker's "The Delphi Revolution"
What is Catriona McPherson reading? Pg. 99: Timothy Beal's "The Book of Revelation"
Pg. 69: S. L. Huang's "Zero Sum Game"
What is R. E. Stearns reading? Pg. 99: Elliott J. Gorn's "Let the People See"
Pg. 69: Vicki Delany's "A Scandal in Scarlet"
What is James Tucker reading? Pg. 69: Catriona McPherson's "Go to My Grave"
What is Eugenia Kim reading? Pg. 69: Jennie Liu's "Girls on the Line"
What is Diane A.S. Stuckart reading? Pg. 69: Eugenia Kim's "The Kinship of Secrets"
What is Jennie Liu reading? Pg. 69: Scott J. Holliday's "Machine City"
What is Jennifer Estep reading? Pg. 69: R. E. Stearns's "Mutiny at Vesta"
What is P. J. Vernon reading? Pg. 69: James Tucker's "The Holdouts"
What is D. S. Butler reading?